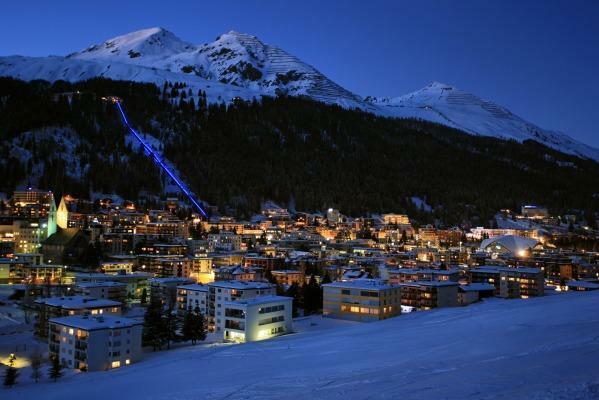 One of the first spots in the Alps to be used as a skiing venue and also a 'health' spa, Davos is a large, outstretched town 1 ¾ hours from Zurich by car or 2 ½ hours by train. 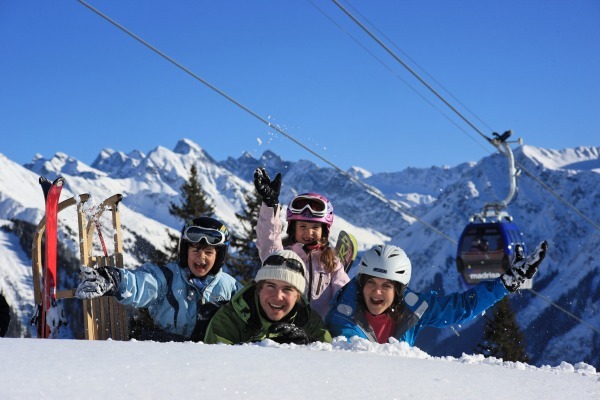 It has access to 325km of pistes and is linked to Klosters. 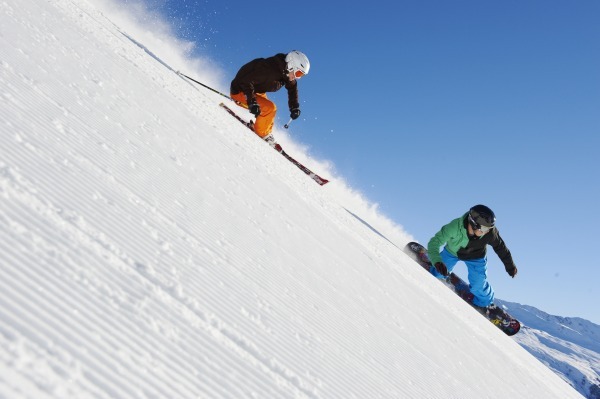 As a whole, there is something for every type of skier, although beginners don't fair as well. Intermediates have lots of long blues and reds to exploit, while advanced skiers have some good off-piste. The snow is generally good at the higher levels and some fantastic off-piste. 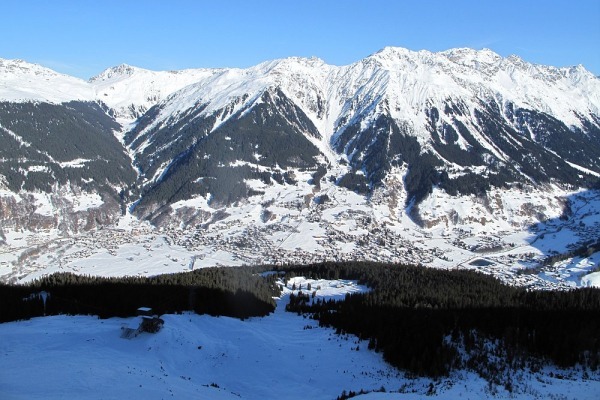 What the town lacks for in charm, it makes up for with its fantastic variety for skiers and boarders alike and with the new Parsennbahn railway, access to the slopes is quick and easy. 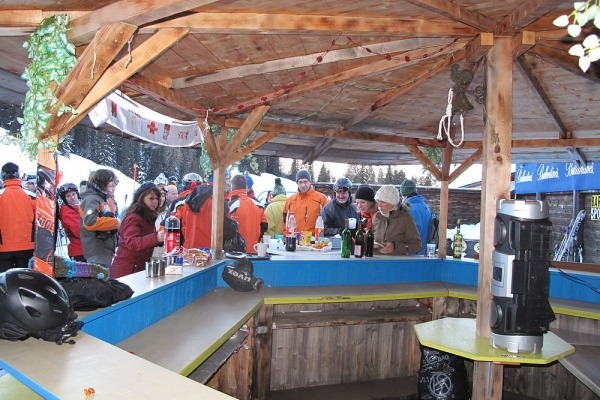 For boarders the off-piste is a major attraction, as is the designated park. Cross-country skiers also have much territory to cover. 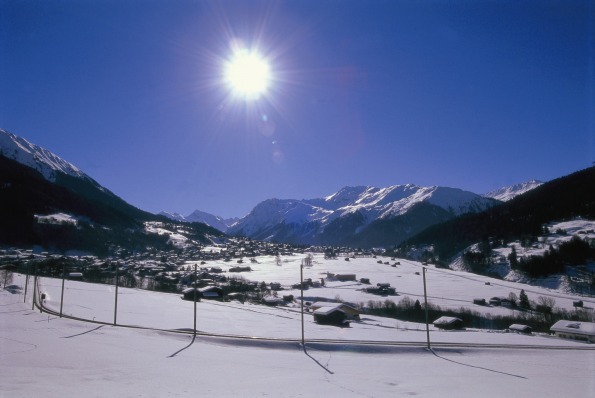 The town itself, split into 2 parts, Dorf and Platz, doesn't possess the charm of Klosters, but life off the slopes is lively with 5 nightclubs to choose from as well as lots of bars and restaurants. In addition there are many other things to do apart from skiing. You can take a scenic train ride, use the largest natural ice rink in Europe, visit the winter sport museum, or watch an ice hockey match. On top of that are the great shops and excellent restaurants (on and off mountain). It is expensive and fur coats abound, however, it does cater for all - if you can afford it. 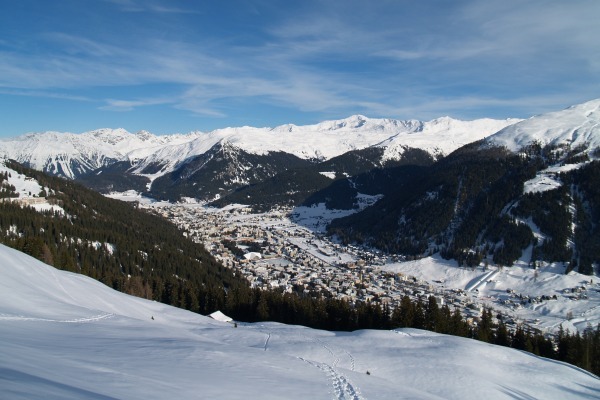 A busy town which shares some of its ski area with prettier Klosters.